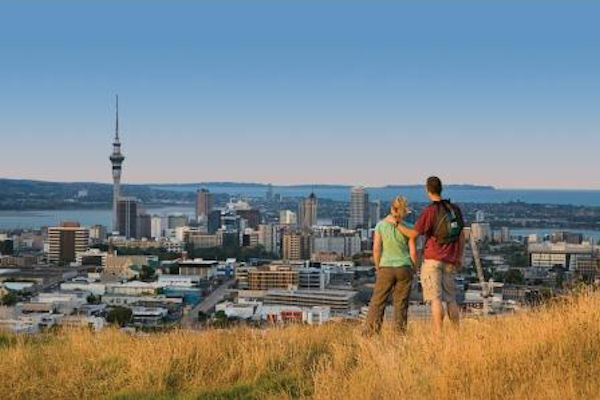 Auckland Sightseeing Tours show you Auckland City highlights including beautiful beaches, panoramic views from several Auckland volcanoes and the exceptional Auckland Museum in half a day! Keep away from the masses and try our exceptional Auckland Tours in very small groups. Includes pickup and return to the central city or as an option you can do a harbour cruise from the charming village of Devonport back to Auckland city. On our half day Auckland Sightseeing Tours you’ll experience the very best of the beautiful city of sails; spectacular ocean vistas, dramatic volcanic landscapes, lush green parkland, iconic landmarks, tranquil harbourside bays and a historic picturesque marine village. You’ll see why Auckland is one of the world’s most beautiful and livable cities. Free pick-up from Auckland Central, all transport, snacks and hot/cold drinks, plus all taxes and park fees.